Olympus OM-D E-M5 Mark II and Panasonic LUMIX DMC-GH4 Image Stabilization Video Test Comparison. Both cameras were mounted on an extension plate with 1/4 inch mounting screw and the plate was attached to the Manfrotto PIXI Mini Tripod. I only had few hours to shoot in the late Saturday afternoon and didn’t have time to go to a nice location so the lighting condition wasn’t ideal. All shots were handheld. *M-IS1 is the All Direction Shake I.S that the camera uses both sensor shift (VCM) and electronic correction. 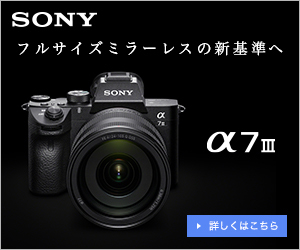 *M-IS2 is the All Direction Shake I.S that the camera uses sensor shift (VCM) correction only. Lens: Panasonic LUMIX G X VARIO 12-35mm F2.8 ASPH. POWER O.I.S. *Normal is the O.I.S that vertical and horizontal shake are compensated for. This was my very first experience to use any Olympus digital camera and I was really impressed with how well the Olympus OM-D E-M5 Mark II in-body image stabilization worked. It was just superb as if I was using one of those expensive brushless gimbals and I was very happy that I purchased one (for the short moment). I really liked the size and build quality of the Olympus OM-D E-M5 Mark II – it was well fit in my hand and I could feel it’s tough, solid and rugged. Although Olympus OM-D E-M5 Mark II’s function buttons are customizable I still prefer Panasonic LUMIX GH4’s individual buttons and menus. Also, Image quality of the Panasonic LUMIX GH4 was better to my eyes and especially it was visible if I stopped playing the clip to see the still frame. I noticed there were many frames that were blur with the Olympus OM-D E-M5 Mark II while there were very little with the Panasonic LUMIX GH4. I have no idea why that was since the frame rate for both cameras was set to 30p. That said, I would guess sharpness / clarity would be more apparent if shot in 4K with higher bit-rate and down sampled to 1080p on the GH4. Big minus of the Olympus OM-D E-M5 Mark II for me was its battery life. I had used it for about little more than two hours (no more than three hours for sure) and it lasted just that. I do often time-lapse photography and longer battery life is suited for especially if it is a night time-lapse. I don’t like to carry too many spare batteries as my photography subjects are mostly mountains and like to go hiking / traveling with minimum. I was hoping that the Olympus OM-D E-M5 Mark II could partially replace my Nikon D810 in certain occasions considering with E-M5 Mark II’s ability to shoot in 40 Megapixels High Res shot and its unique feature – Live Composite to photograph star trails. But, I quickly realized the E-M5 Mark II’s High Res Shot was bit cumbersome as it always requires a tripod for a good steady shot while my Nikon D810 can shoot well at 36-Megapixels handheld. I was hoping that the E-M5 Mark II could replace my Panasonic LUMIX LX100 when I travel overseas and shoot video, but I also realized while the E-M5 Mark II’s in-body stabilizer is superb I would still like the LUMIX LX100’s ability to shoot in 4K and give me a choice of down-sampling / editing in post.